Family Boomerangs and more Disney projects: part 8 of the Vekoma retrospective. 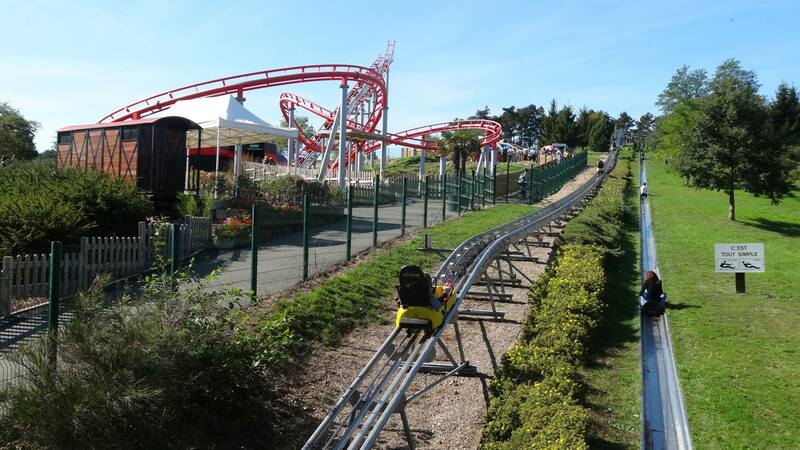 The Boomerang gained a 5th variant, when the Family Boomerang was introduced at le Parc Touristique des Combes (Le Creusot, France) and Drayton Manor (Drayton Basset, UK). Known as Boomerang in France and Ben 10- Ultimate Mission in the UK, those rides takes the familiar Boomerang layout and makes it family friendly. It features a 66 feet tall lift hill behind the station that use moving pinch drive tires. Once at the top, the pneumatic brake in the station open, the eddy-current trim brake retract and the tires separate, allowing the 8 or 10 cars MK-701 train to drop through the station and through a rising left banked turn. It leads into a junior butterfly element and a double up style reversing spike. No additional drive is mounted on that spike and the train fall backward and around the layout in reverse. It is slowed by the eddy-current brake when it goes back through the station and when it rolls forward in the station, the pneumatic brake caliper stops and holds it in place for unloading. 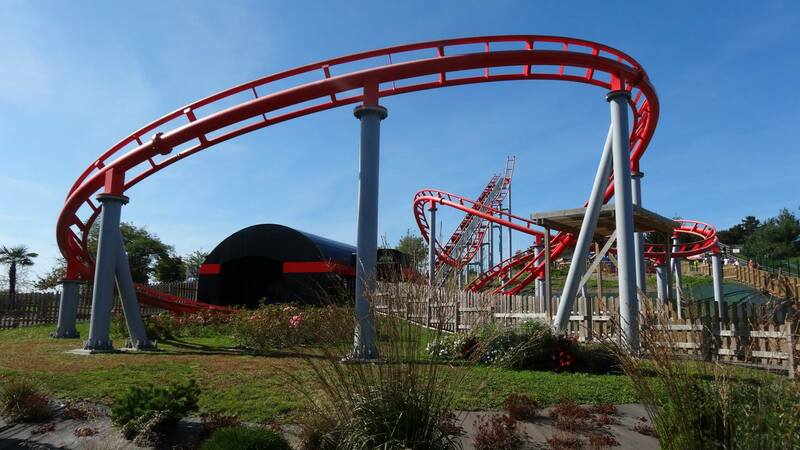 The following pictures shows the “Boomerang” at Le Parc Touristique des Combes (Le Creusot, France). The lift hill with the retractable tires and brakes.You can also see on the right the “double up” spike. The rising curve out of the station. View from the lift hill. The banked turns that form most of the layout. A front view of the layout. All pictures above appears courtesy of Flex. 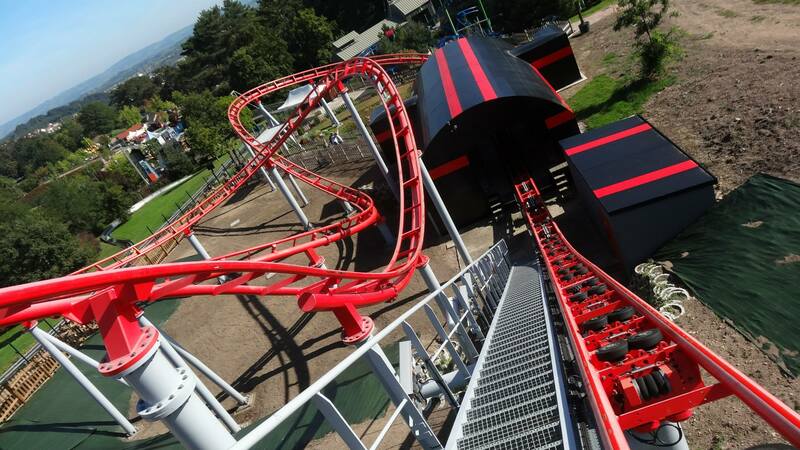 It is a fantastic design that may be the best family coaster available on the market today. It is compact, smooth and fun for the whole family. The silent tire drive and trim brake means it is one of the quietest ride on the market, making it a good choice for parks that have noise restrictions. 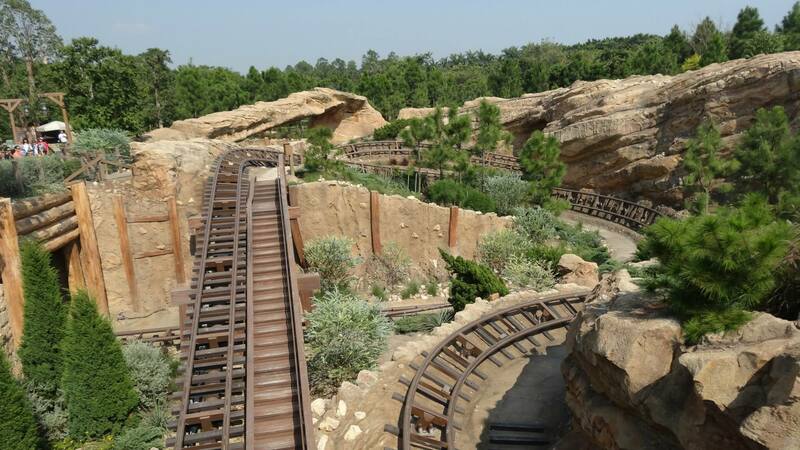 Vekoma returned to Hong Kong Disneyland in 2012, providing the ride system for Big Grizzly Mountain Runaway Mine Cars! Grizzly Mountain uses the same trains and ride system as Everest, but with the added twist of the strangest lift hill ever conceived and a LSM launch. 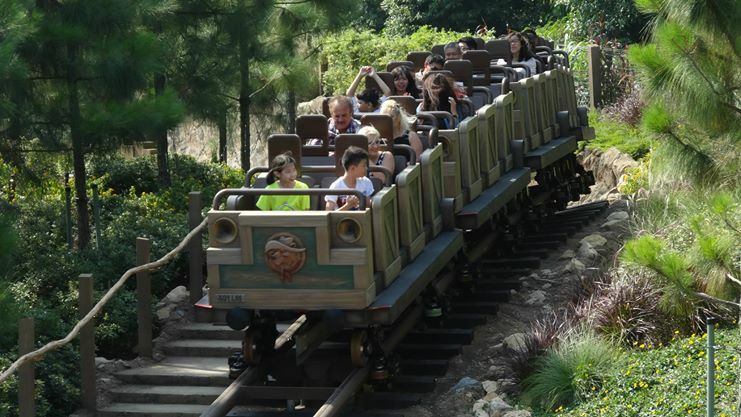 Equipped with six trains and able to run 5 at once, each train is composed of 4 6 seat cars, giving impressive capacity as is usually the case on the Disney Vekoma rides. 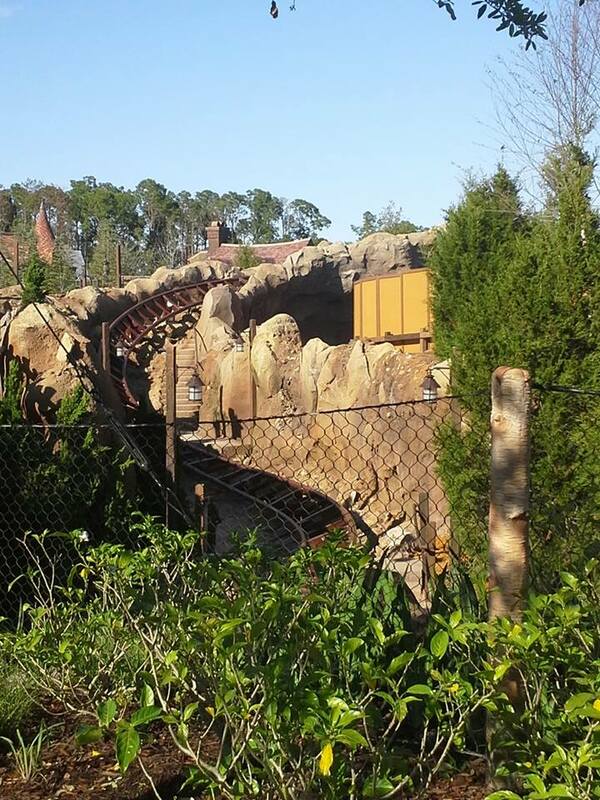 The split load/unload configuration of Everest is again used here. The comfortable trains equipped with individual lap bars. Pusher tires and pneumatic brakes are used in the station to move and hold the trains. The brown bar is used to release restraints. The first lift hill use the SLC silent anti rollback system and the only time noise is heard is when the ride chain dogs enter the chain. For the “breaking lift” portion, a pusher cart is mounted on a low lift chain and when the train first car goes over it, two pivots are pushed by the cart. 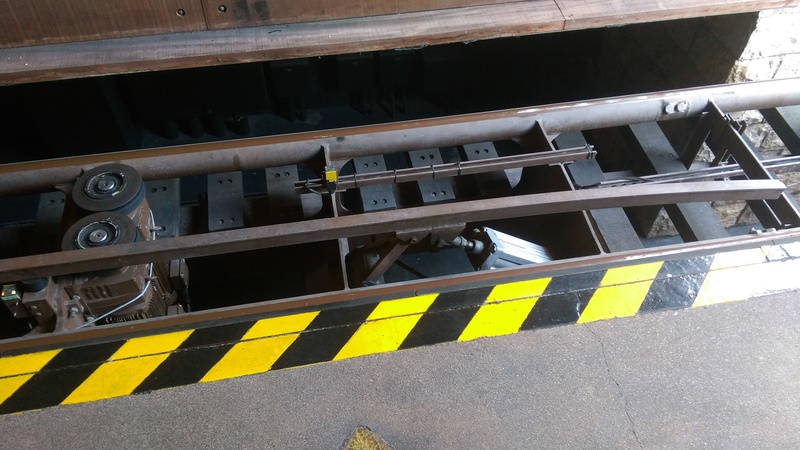 Once the track switch has switched over and it is locked in place, the brake before open and the cart is allowed to go over the two release bars. This push the pivots up and the train freefall backward, along with the sound and visual effect of the lift cable “snapping” to the left of us. The train rolls backward over a few gentle hills and turns before being slowed by eddy-current brakes. It goes over another track switch that slides over to a straight section with LSM (Linear Synchronous Motor) mounted on it. The train stop, we see and feel a dynamite blast and we are launched to 35 mph out of that mine shaft by the LSM. After a few more hills, the 3600 feet journey is over and riders get out at the unload station. The train is climbing the breaking lift at this point. The train goes next to one of the iconic Geyser of the area. View of part of the large layout. The layout has a dramatic impact visually, as at one point, you have 3 parallel separate sections of tracks diving under a walkway in their tunnels. 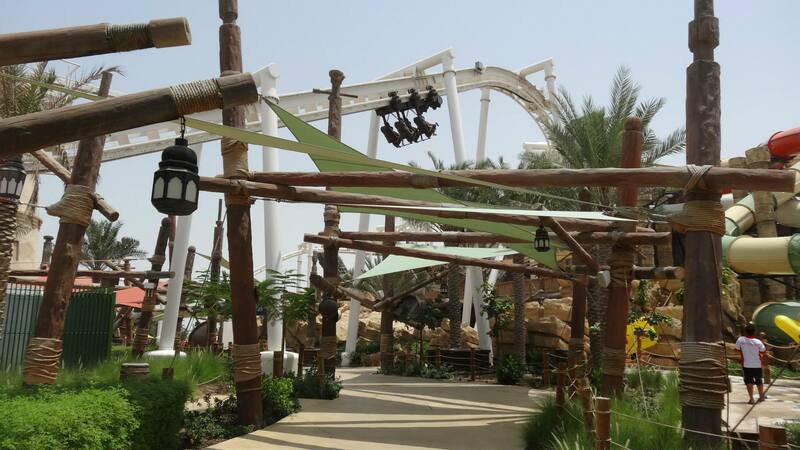 The ride is also one of the smoothest roller coaster on the planet and it had a huge impact on the park. 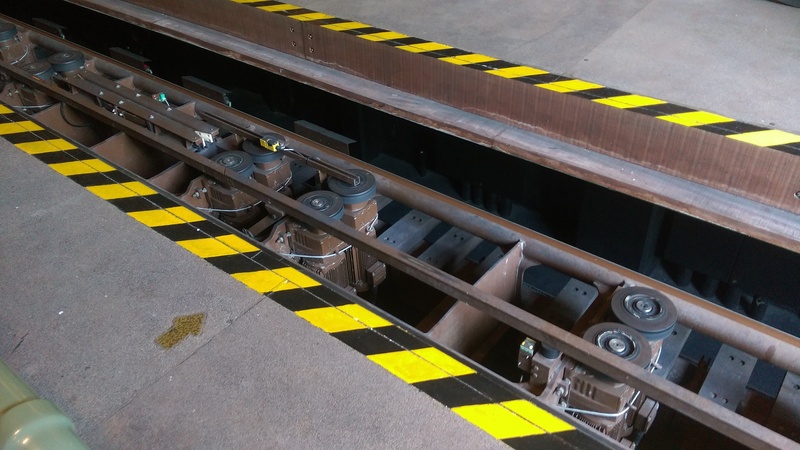 Adjustable eddy-current magnetic brakes are used throughout the ride to bring the trains to proper speeds. A train is approaching the exploding mine gallery. After the launch, the train pass this broken bridge and splashes “through the water”. In 2013, Vekoma delivered the first of their “Splash Party” Roller Coaster. 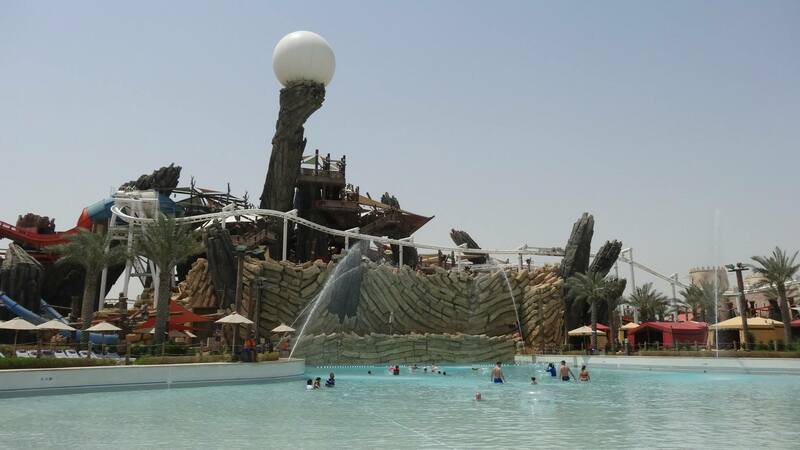 Yas Waterworld in Abu Dhabi, UAE opened that year and for only the third time ever, a standalone waterpark built a roller coaster. 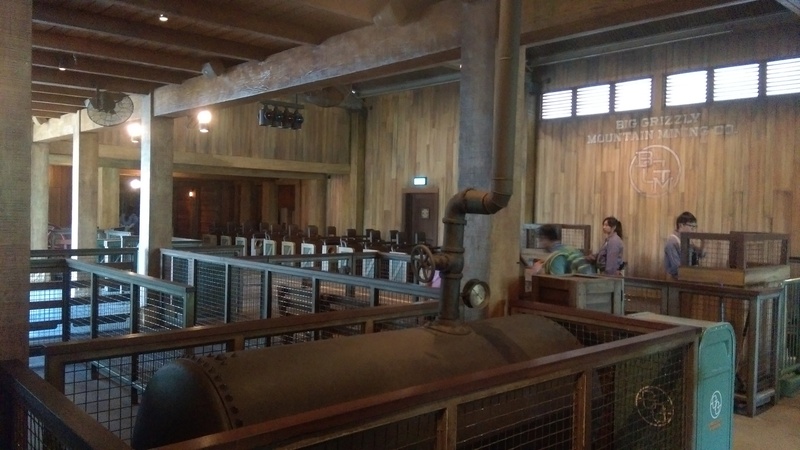 The advantage of a roller coaster in such a setting is that beside the Proslide Hydromagnetic Water Coaster, it will have the best capacity in the park and thus, provide a better experience to the guests. The Splash Party is an offshoot of the Family Suspended Coaster, where the same seats and car arrangement is used in an individual car with 4 riders configuration. 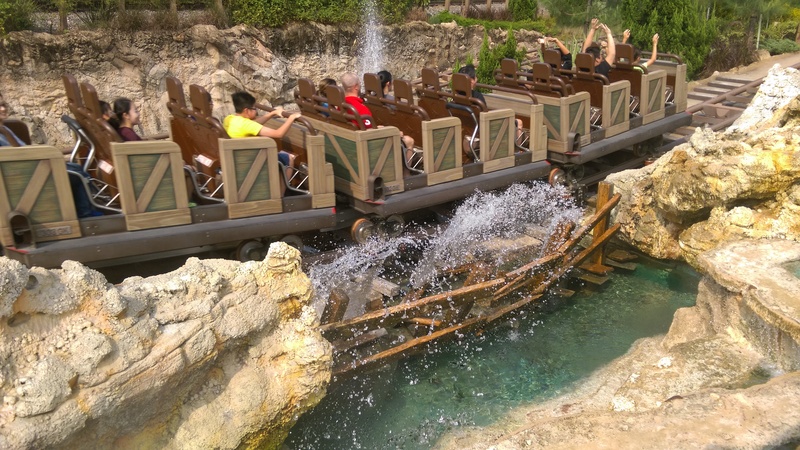 During the load and offload, 80 liters of water is loaded in each car and each rider has a button to push during certain segments that will trigger the drop of 20 liters under the ride. In the case of Bandit Bomber, the park also selected the laser gun option. Each rider has a laser gun mounted on a joystick configuration and using those, they can set off various effects along the ride course. You can see the white track behind the wave pool. One of the ride many block brakes. The custom layout was a work of genius, as it rolls over and under water rides from both Whitewater West and Proslide. It required great coordination to make sure rider’s safety envelope is respected and the ride supports could be placed. 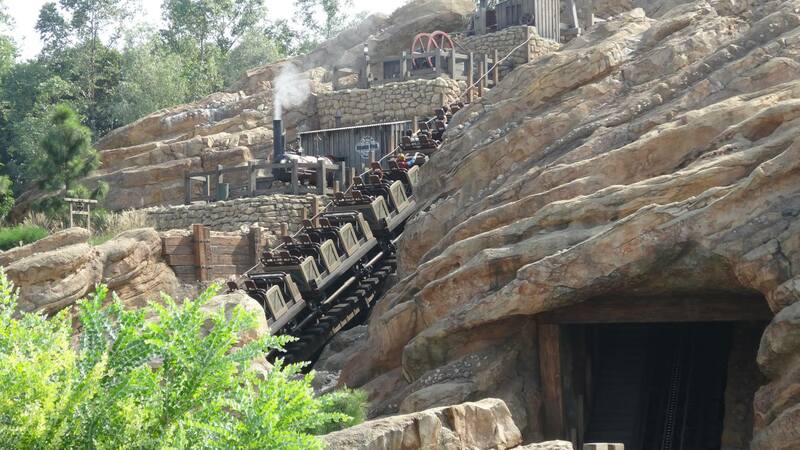 It use two lift hills and can run 7 cars at a time, for a theoretical capacity of 770 guests per hour. The tallest lift is 75 feet tall and 1689 feet of track weave in and out of the theming and other attractions. 2013 also saw the debut another version of the popular Suspended Family Coaster. 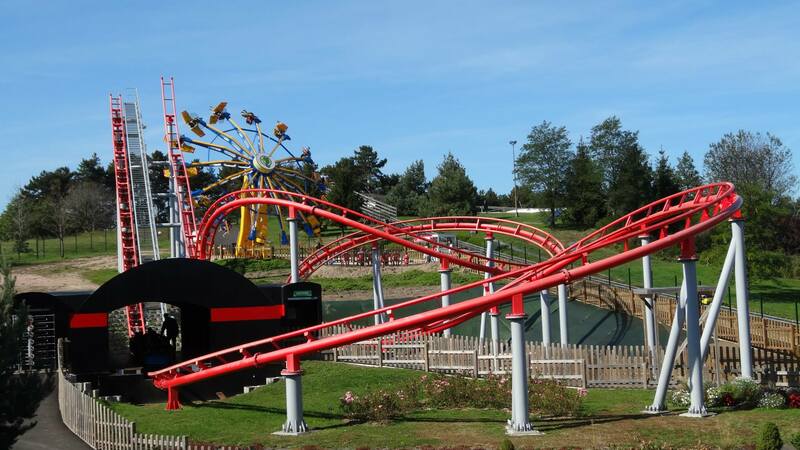 Known as Orkanen, it was the first of the 453 meters layout and it was at installed at Farup Sommerland (Saltum, Danemark). The major departure from the other ones is the taller 63.5 feet lift hill. It leads to a curved first drop that dives under water, around a horseshoe curve and then under the drop. The 1486 feet layout has a S curve and many other exciting features. Thank you to www.vekoma.com for providing this amazing shot of the train diving under the water on Orkanen. 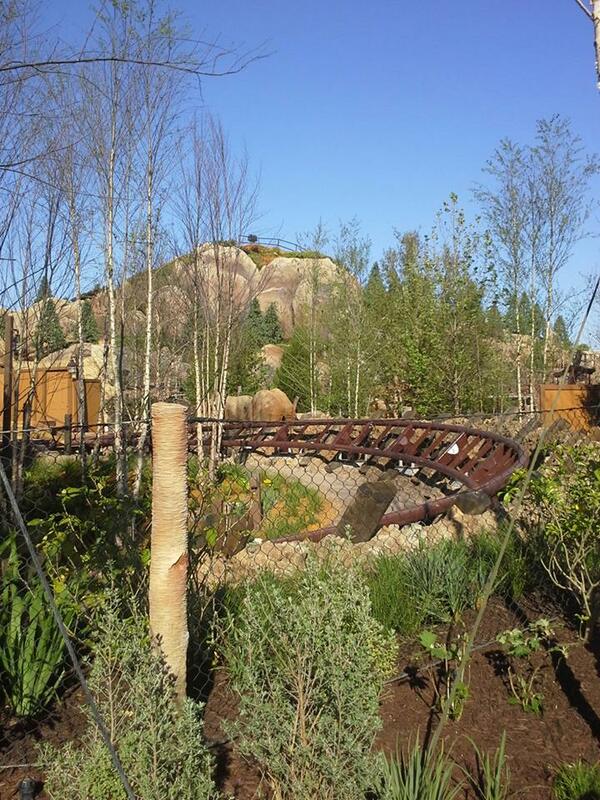 2014 saw the first installation of a new attraction designed by Walt Disney Imagineering (WDI), the Seven Dwarves Mine Train. Opening first at the Magic Kingdom at Walt Disney World (Lake Buena Vista, FL), this 2000 feet long dual lift roller coaster use something that had never been done successfully before: above track swinging cars. The track system used is the same one as Everest, as even through it is a family roller coaster that has a 41 feet drop as its biggest drop, the unusual forces exerted by the swinging required the sturdiest track possible. The cars are shaped and patterned after antique mine dump cars. Since load and unload is done from the same side, the left side is left whole and the opening for riders on the right side only. 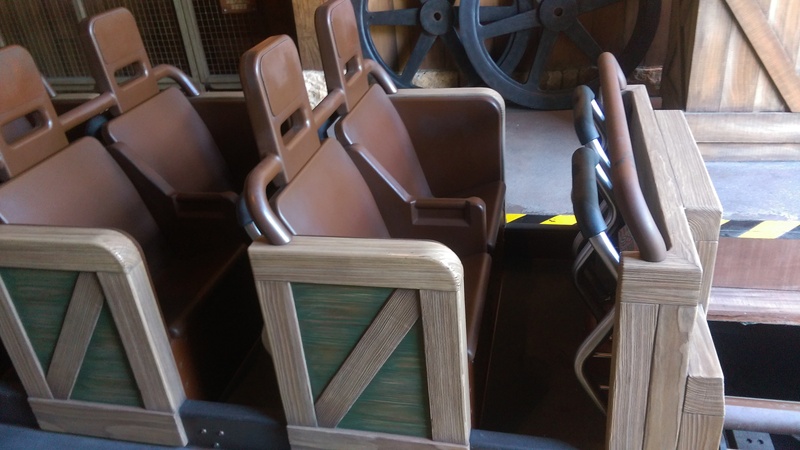 Individual T-bars were first shown on concept arts, but before opening, they were changed for U shaped individual lap bars. To prevent the cars from moving in the station area, the cars enter a narrow channel that keep the cars solidly in place. 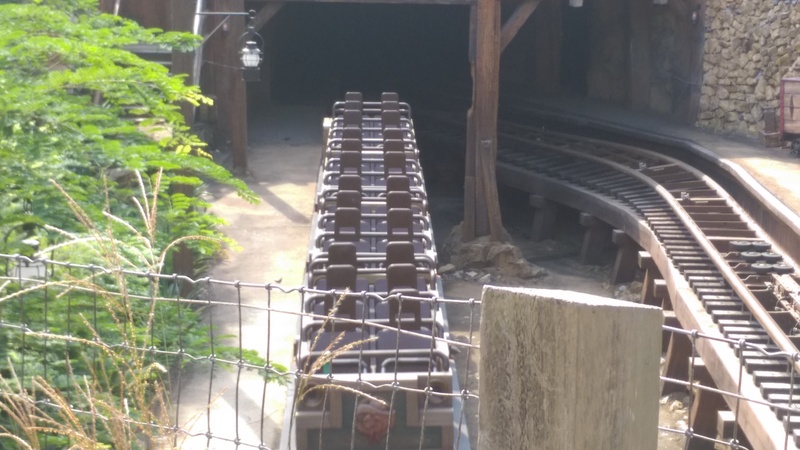 6 trains were delivered to the ride and 5 can run at once. The now familiar separate load/unload set-up is used in the station. Each car has 2 rows of two and 5 cars compose a train. In this picture, you can see the lap bars on the ride. They are hydraulic and not mechanically operated. The ride went through a few design changes before WDI settled on the current layout. After sharply dipping to the right outside of the station, the train turns to the left and attaches itself to the first lift hill. At the top, the train goes down a 31 feet drop to the right before rising up into a banked left turn. That lead into an S turn that really show what the car swinging can do. It is then slowed by eddy-current brakes and it goes back inside for the dark ride segment. 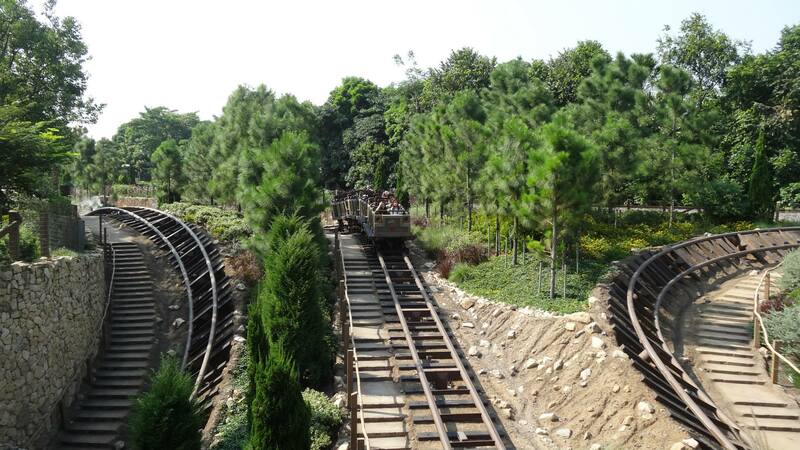 It is a long S turn that bring the train into the second taller lift hill. At the top, the train exits the lift hill down a pre drop which leads to the largest drop: 41 feet. It then rises up to the right into a banked 270 degrees curve. A beautiful stone bridge support the train on a straightaway and it drop down into the second S curve. After that, it turns to the left into the first safety brake. It is normally slowed a bit and then it goes around a 90 degrees right hand turn that is the pre station waiting brake. At that point, riders see another scene where the Evil Witch in her Hag form is waiting at the door of the Seven Dwarfs Cottage. The drop coming off the second lift hill. The rising turn after the largest drop. The curve that leads into the final trim brakes. The ride system is brilliant and Vekoma really did their best with what they had to work with. 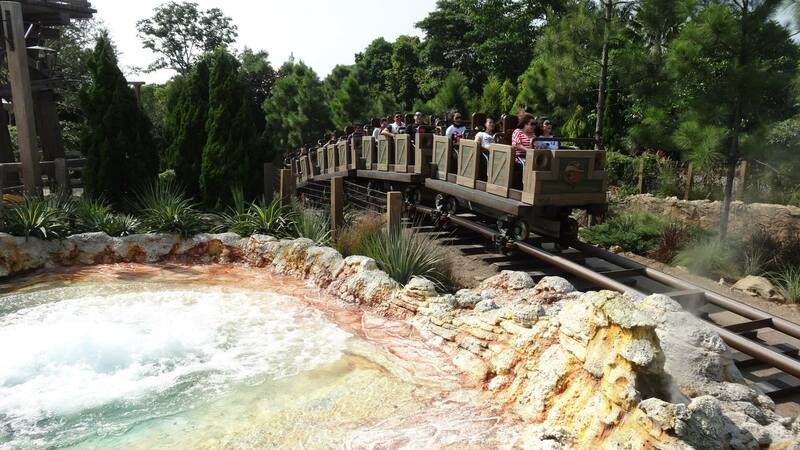 The ride is beautifully landscaped and looks like it has always been there. 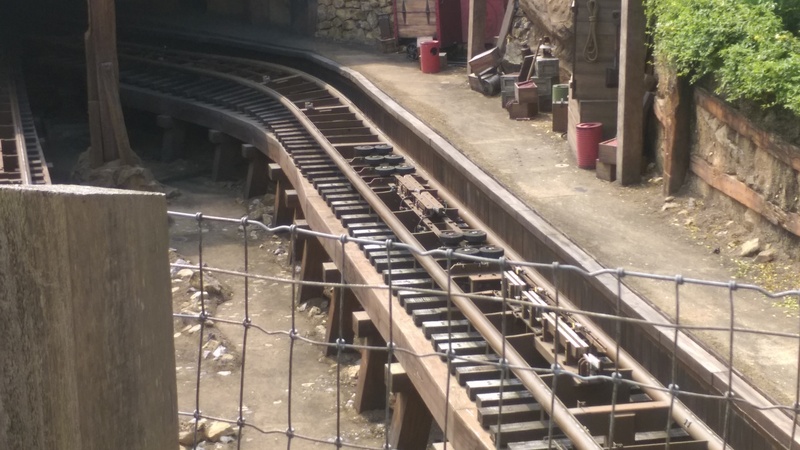 The way the track is integrated with the hill make it look like a mining operation straight out of the Middle Age. What is coming in the future for Vekoma? The Dive Pretzel Coaster should make its debut in 2015 at the Great Mall of China near Beijing. 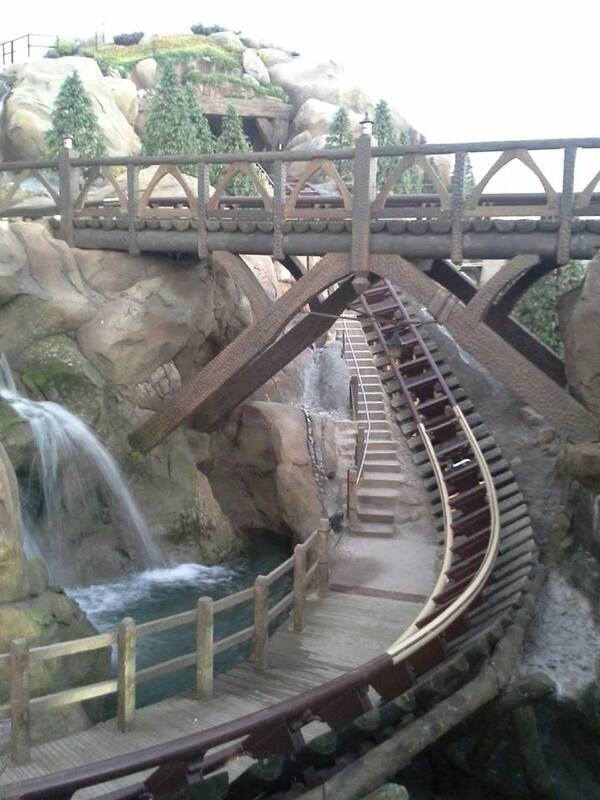 It is a compact roller coaster where the train does multiple giant loops in a small footprint. 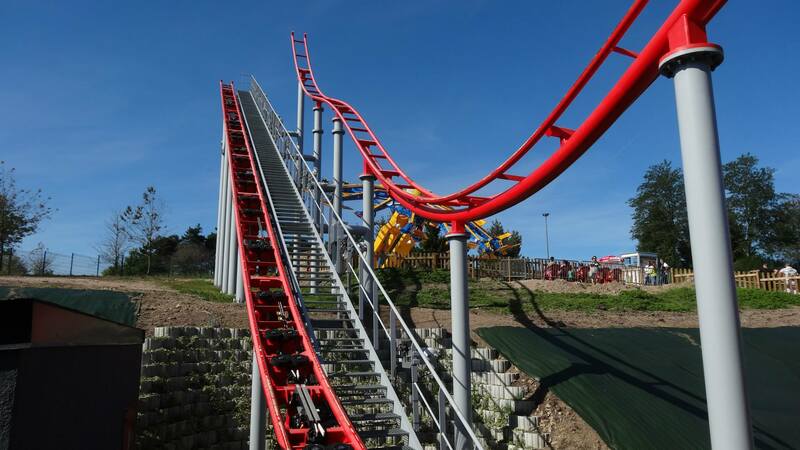 It will use the second Vekoma Vertical lift hill to take the small cars up to the highest point. 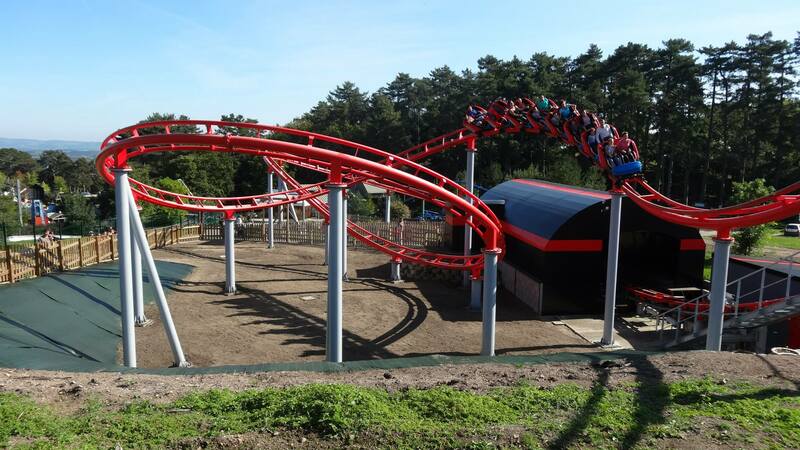 Four Vekoma roller coasters are currently being installed at Energylandia, a brand new theme park in Zator, Poland. 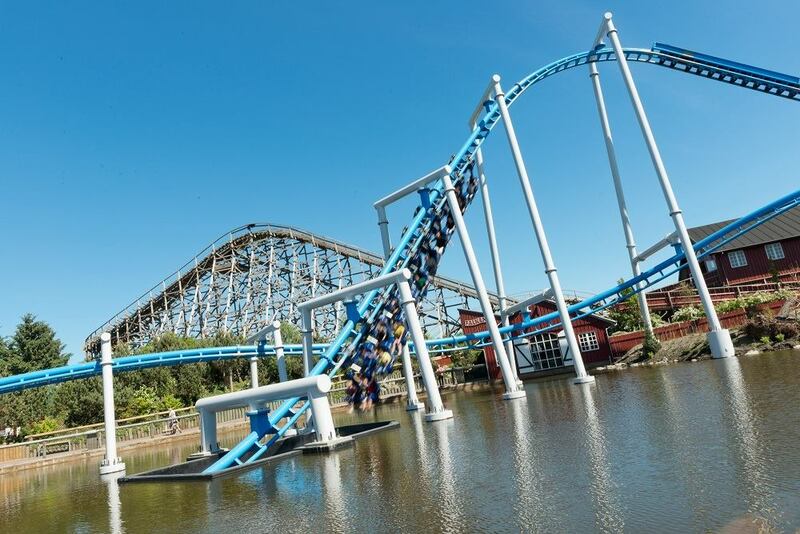 The park opened on July 31st 2014 and the major attractions from Vekoma are currently scheduled to open on May 31st 2015 for the custom Launched Coaster, 453 meters Suspended Family Coaster and 335 meters Family Coaster. The Standard Suspended Looping Coaster should open in August 2015. In 2016, a park in Europe will debut a new version of the Family Boomerang. Known as the Family Boomerang Rebound, it will debut at Paultons Park and features a Figure 8 layout. After the initial spike and passage through the station, the train will do a dramatic banked turn to the right that leads into a rising S curve that go under the first lift hill. It then drops to the right and cross under the lift hill again and that leads to the double up spike. The train then rolls back down and do the course in reverse. When Shanghai Disneyland opens in late 2015/early 2015, it will feature two Vekoma roller coasters. The first of those will be a copy of the Seven Dwarves Mine Train. The second will be the largest Motorcycle Roller Coaster ever built and the theme chosen for it is something movie goers have been dreaming to experience since 1982: what if we could ride the awesome Light Cycles from the Tron movie? Tron: Lightcycles will have big shoes to fill, as it takes the traditional place of Space Mountain in Tomorrowland. 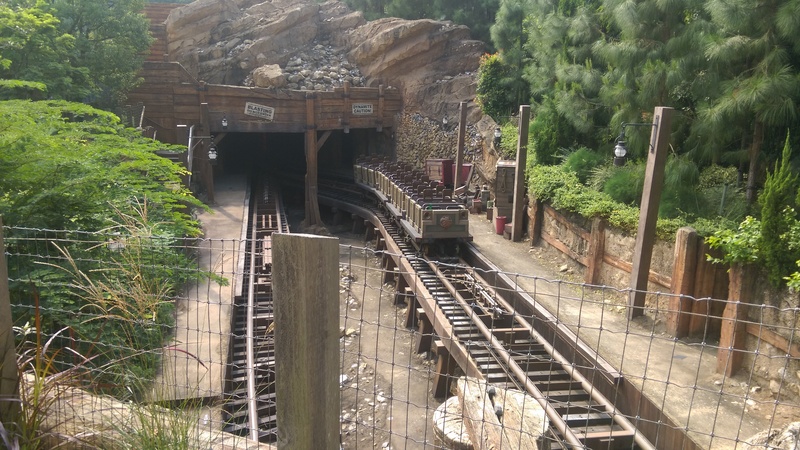 This entry was posted in Coasters, Industry Profile and tagged Energylandia, Grizzly Mountain, Hong Kong Disneyland, New Vekoma Coaster, Orkanen, paultons park, roller coaster, Runaway Mine Cars, Seven Dwarves Mine Train. Bookmark the permalink.